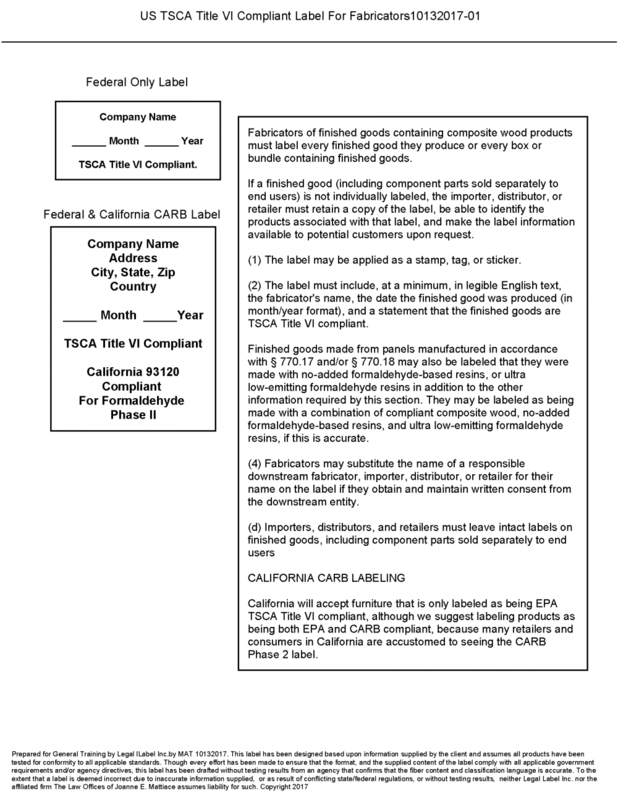 This entry was posted in Laws and Regulations, State News and tagged California, composite wood, CA, Law label, Formaldehyde, law, Regulation, importer, TSCA, Title VI Complaint, Compliancy, Title VI, Finished Goods, Label, Box, Fabricators, resin, distributor, retailer, CARB. Bookmark the permalink. ← Pennsylvania Accepts Utah Sterilization Permit!